A duet is a musical composition for two equally relevant performers: aroma and flavour. The two key features for this wine line. 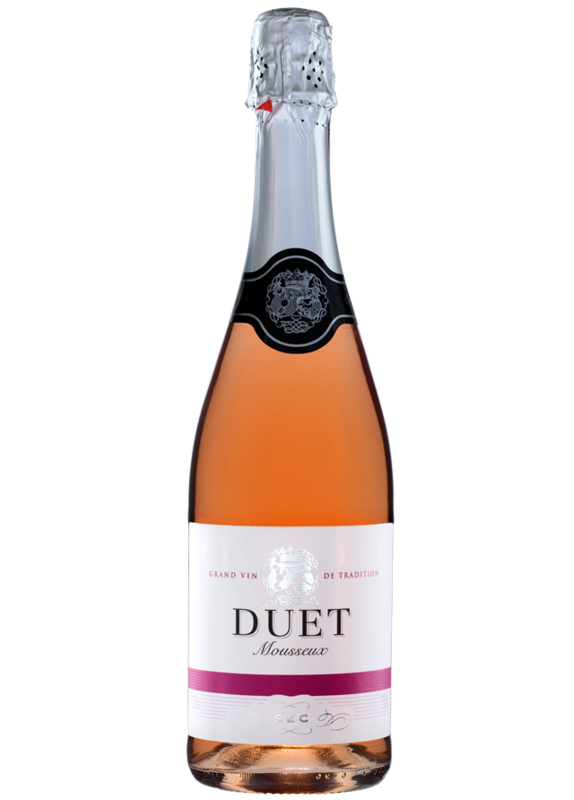 Duet Rosé Sec is a wine made from Tempranillo grapes from specific vineyards in Valdepeñas landmark. Light soft pink with orange shades and a fine and consistent bubble. This wine combines aromas of fruits such as strawberries with citrus and exotic fruits. A sweet texture and moderate acidity. Perfect as a starter or with light fish dishes, seafood, sushi or salads. It is also ideal to accompany sweet desserts. A sparkling wine based on a traditional rosé wine produced with the most modern wine making technology to ensure maximum quality. Then, just the right amount of carbon dioxide is added to obtain a fine and elegant bubble, the desired acidity and a fruity expression.